Lit from Within: It's so FLUFFY, I could die! It's so FLUFFY, I could die! 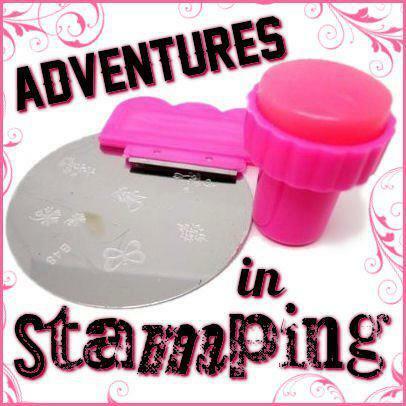 Today's Sunday Stamping theme is, "It's So Fluffy!" A celebration of fluffy and cuteness! I started with a base of RBL Pretty Gritty. I love how the purple looks almost fleece-like in texture, though it's totally smooth. I think it's from the very subtle gold shimmer - hard to capture on the nails, but this is a pretty good shot of it in the bottle. 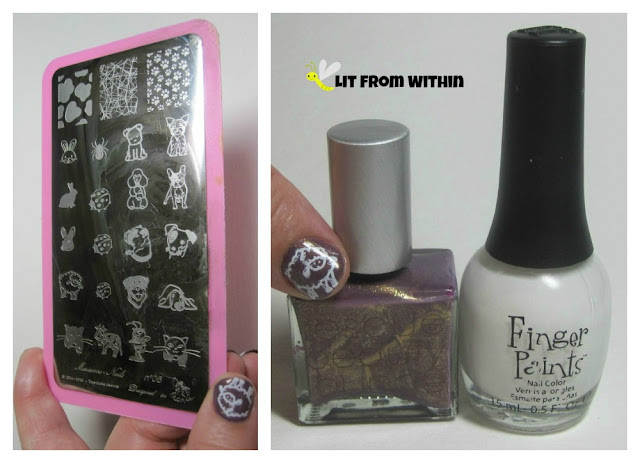 I picked five cute and fluffy things from my Marianne Nails no6 plate - so hard to pick just 5! I especially love the sheep. Here's a pix of the stamping plate, and the polishes I used: Marianne Nails No.6, Rescue Beauty Lounge Pretty Gritty, and Finger Paints Paper Mache. What are some of your favorite fluffy things? Beauty is Pain...or at Least A Bit Uncomfortable!